Let the Valentine's Day fun begin! 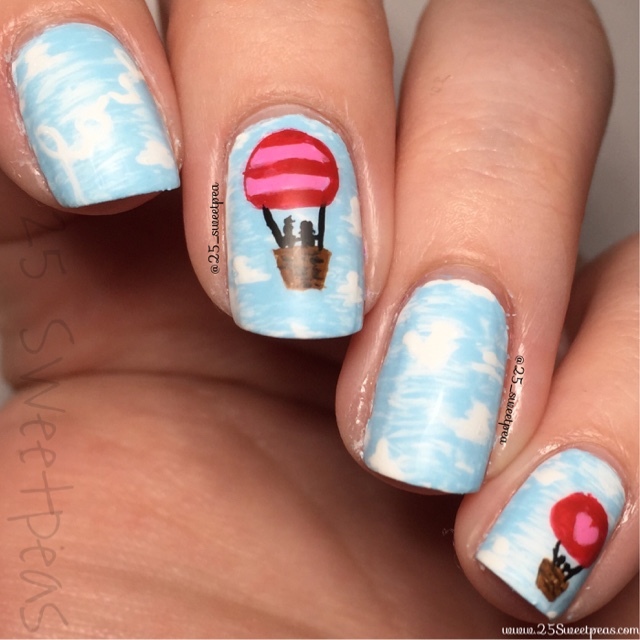 ;) Today I have created a fun hot air balloon look with love written in the sky! I literally feel like the two in the hot air balloon are on a date on Bachelor! Haha! Well y'all wanna see these closer? Let's go take a look! Which do y'all like best? 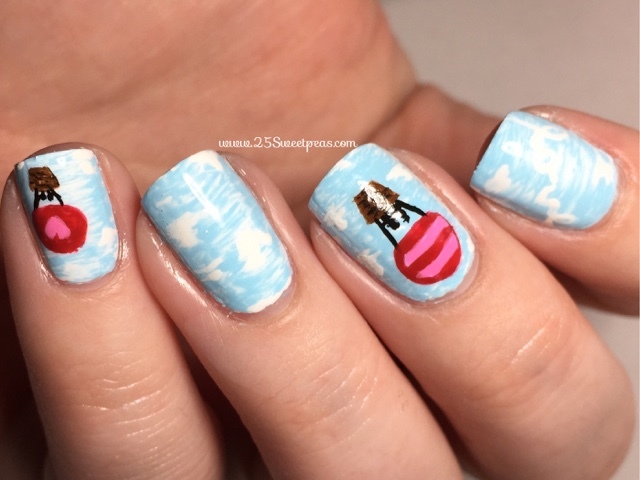 So my brother said I such turn a mani into a story, since I like to write! What do you all think? Would that be a fun concept? I am pretty happy with how these turned out. I love the love in the sky. :) Also they were fun to do which always a great thing. 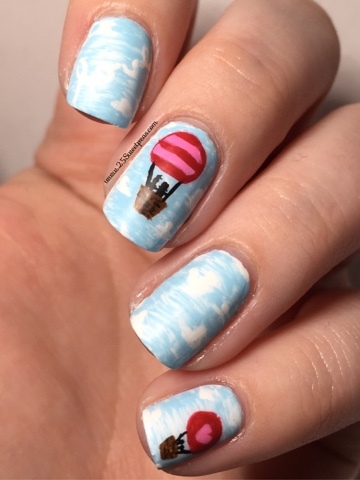 So I was going to film the hot air balloon being painted and I did it all under the camera but turns out it didn't film. So today on Instagram I will have a spotty tutorial if you want to see bits and pieces of these nails. Also I mean really I just love the music in it. It may or may not be a new Charlie Puth song. 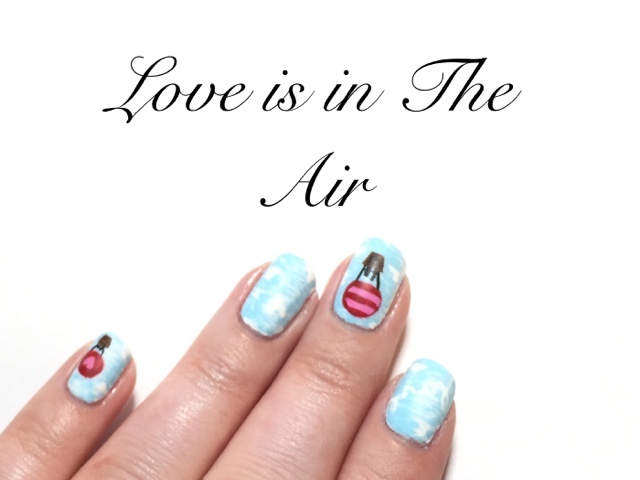 So lovely... Valentine's Day is coming up, so I'd really like to charm our date with fancy fingers:) With that in mind, I will visit the nail and spa studio. Fun! Hope you get something special for it!